If you have been a hi-fi enthusiast for any length of time, you undoubtedly have come across the Monitor Audio brand. Monitor Audio Ltd. is a British based company, founded in the early-70’s, that specializes in high quality loudspeaker products. 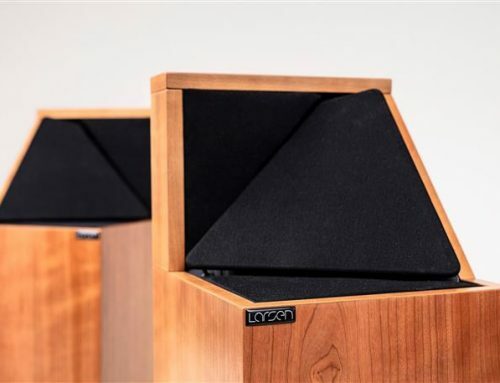 I’ve been following their various evolutionary steps in loudspeakers over the past decade and have always been drawn to their innovative designs, luxurious finishes and of course, their sound. My last intimate encounter with a Monitor Audio product was when I reviewed their Gold GX100 bookshelf speaker in combination with a Cyrus Audio 8a integrated amplifier – published in our April/May 2014 issue. Given my fun with the Gold GX100, I was enthusiastic about getting to hear the latest edition of the Gold series that was announced early this year and pounced on the offer to review the new Gold 300 loudspeaker. Monitor Audio has had a Gold series within their stable for over a decade and this latest 2015 edition marks the fourth iteration of the series, following in the footsteps of the Gold GR, Gold GS and Gold GX series. Departing from previous convention, the new Gold series drops the letter designation and is now simply referred to as “Gold”. The new Gold builds on the outgoing GX series with increased performance and refinement, though changes are evolutionary rather than revolutionary. There are three noted enhancements that come with the new Gold series. The first two are performance oriented: the adoption of a new C-CAM Rigid Surface Technology (RST) driver cone and; tighter production tolerances for the C-CAM ribbon tweeters; while the third enhancement is primarily stylistic: a new ‘floating cloth’ grille that takes the place of the former metal GX-series grille. Delving into the performance enhancements – the new C-CAM RST driver now features a dimpled cone surface that is reminiscent of the former GR and GS series. This dimpled cone surface has been further refined and mated to a new continuous formed cone structure, akin to Monitor Audio’s flagship Platinum PL series. These changes in the driver cone allow the new driver to incorporate a longer voice coil and larger motor providing improved efficiency, longer excursion and lower distortion for cleaner, more accurate and extended bass. For the tweeter, the new Gold adopts the same mechanical ribbon design of the previous GX series, a derivation of the Platinum C-CAM ribbon; however, Monitor Audio has improved production tolerances for greater consistency and improved performance. According to listening tests conducted by Monitor Audio, the result of these changes incorporated into the new Gold’s drivers is an improved sense of detail, enhanced imaging, increased openness and dynamics, as well as a larger soundstage that is higher and wider than ever before. 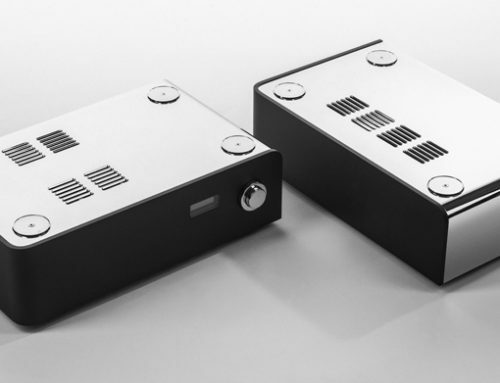 I should mention that carryover from the Gold GX in the new Gold series are the bolt-through driver fixings; rigid curved bass-reflex radial braced cabinet enclosures and; high quality cross-overs with polypropylene film capacitors, air core, and laminated steel core inductors, as well as Pureflow Silver cable internal wiring. 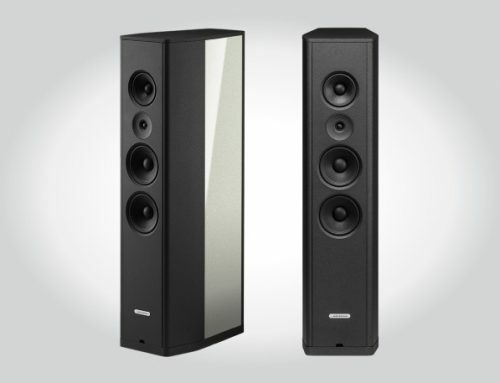 There are a total of eight loudspeaker models within the new Gold series that allow for both two-channel stereo, as well as, multi-channel/home-theatre applications. The following models comprise the new Gold series: Gold 50 two-way stand mount ($2,295/pair); Gold 100: two-way stand mount ($2,895 /pair); Gold 200: three-way floor-stander ($5,795 /pair); Gold 300 three-way floor-stander ($7,195 /pair); Gold C150: compact centre ($1,395 each); Gold C350: centre ($2,195 each); Gold FX: surround ($1,395 each) and finally; the GOLD W15: subwoofer ($3,695 each). These models are available in three standard finishes (Dark Walnut – real wood veneer; High Gloss White; Piano Black) and one premium finish (Piano Ebony), which is available for just over 20% extra. The Gold 300 is the largest floorstanding model in the Gold series and also the most expensive. Specifications for the Gold 300 floorstanding loudspeaker are as follows: 3-way, 4-driver, bass reflex design; 1 x C-CAM ribbon tweeter, 1 x 4” RST mid-range, 2 x 6.5” RST bass drivers; 30Hz to 60kHz frequency response; 90 db/1W/1m sensitivity; 8 Ohms nominal impendence and; 200 watt (RMS) power handling. The Gold 300 measures 43-1/2” (H) x 12-1/2” (W) x 14-9/16” (D) including terminals, plinth and spikes and weighs in at 59lbs. The Gold 300 loudspeakers provided for this review were finished in the luxurious premium Piano Ebony. I sat admiring the glass-like quality of the high-gloss lacquer, which served to accentuate the contrast between the brown and gold hues of the Ebony veneer, while providing a superb level of depth to the fine grain. Fit and finish was top-notch, flawless in fact – truly a thing of beauty. The aluminum driver surrounds added to the impression of refinement and served to accent the transition between the driver cones and the exotic wood of the baffle. Though I did test the magnetically mounted fabric floating grills, which worked splendidly, I was compelled to leave them off for the duration of the review – the gorgeous face of the Gold 300 demanded full exposure. Not only did the front face demonstrate amazing attention to detail but when I turned my attention to the rear, I found an elegantly tapered cabinet with a fully finished backside. There, on the lower back, I found a set of high-quality bi-wire binding posts that were set on a die-cast alloy terminal plate finished to a high-standard and emblazoned with the Monitor Audio “M” insignia. Whether looking from the front, back, side or top the Monitor Audio Gold 300 looked just beautiful in my listening room. For this evaluation I used the Gold 300 within my reference two-channel music kit that presently includes a Simaudio Neo 350p preamplifer, Bryston 4B-SST2 amplifier, ADL (by Furutech) Esprit DAC, Rega Apollo CD transport, Squeezebox Touch with MS-Vista PC, and VPI Scout 1.1 turntable with a Pro-Ject Phonobox II SE phonostage. My system is wired with Nordost Heimdall 2 and Tyr 2 cables and power is by way of a Nordost QB8 power distribution block, connected to a dedicated circuit. Kevro International, the North American distributor for Monitor Audio, provided a pair of Clarus Aqua Speaker cables and Clarus Power Amp cord, which they typically use with their Monitor Audio loudspeaker setups (see sidebar for my impressions). 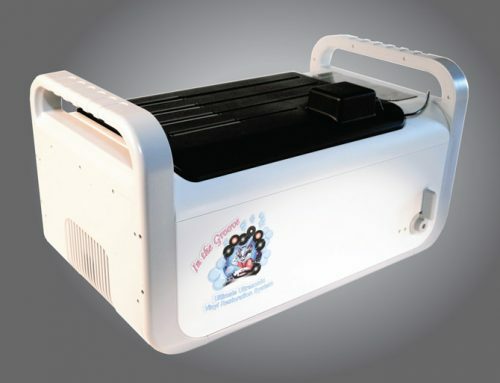 My Squeezebox Touch provided access to my own digital music library as well as to the TIDAL music service (HiFi option) that I’ve been using, which allows me to access an immense library of CD-quality music. 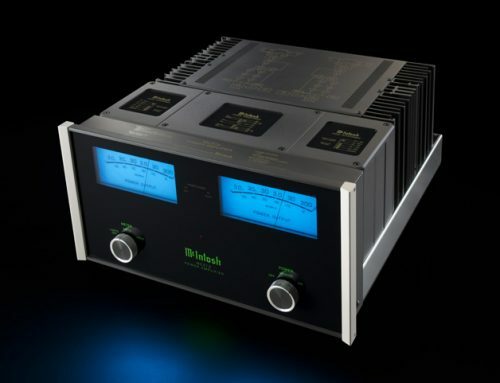 My own loudspeaker references include the quadral Aurum Montan VIII ($9,690) as well as the KEF LS50 ($1,599).